The Ruderman Family Foundation announced today a major new journalism awards program to recognize the best disability reporting produced each year by media organizations around the world. The new Ruderman Foundation Awards for Excellence in Reporting on Disability will recognize work done by large-market digital, broadcast and print media outlets, with prizes of $10,000, $2,500 and $1,000 for first-, second- and third-place winners, respectively. The first Ruderman Foundation awards will be presented in fall 2018 at a ceremony in Washington, D.C., featuring a keynote address on disability journalism as well as a workshop for journalists on how to improve disability coverage. The program will be administered by the National Center on Disability and Journalism at Arizona State University, which has directed a smaller disability awards program since 2013. At the same time, the NCDJ has created an honor recognizing disability journalism by small media outlets. That contest continues the work of Katherine Schneider, a retired clinical psychologist, who launched the first NCDJ awards program. 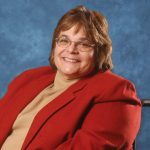 The Katherine Schneider Medal will honor local journalists in small markets who produce outstanding disability reporting. The Ruderman Family Foundation is a philanthropic organization that advocates for the full inclusion of people with disabilities into society. Jay Ruderman, president of the Ruderman Family Foundation, said inclusion and understanding of all people is essential to a fair and flourishing society. The NCDJ has been part of ASU’s Walter Cronkite School of Journalism and Mass Communication since 2008. The organization provides support and guidance for journalists as they cover people with disabilities, including a popular style guide that offers advice on the use of disability-related words and terms. Cronkite Senior Associate Dean Kristin Gilger, who directs the NCDJ, said people with disabilities make up at least 19 percent of the U.S. population – 54.4 million people, yet important disability issues still don’t get the attention they deserve, and, too often, the coverage that does exist portrays people with disabilities in stereotypical or inaccurate ways. “The support from the Ruderman Family Foundation and Katherine Schneider is an important step in helping journalists and the general public better understand people with disabilities and disability issues,” she said. Entries for the Ruderman Foundation Awards for Excellence in Reporting on Disability and Katherine Schneider Medal will be accepted beginning in May 2018 at http://ncdj.org. For more information, please visit www.rudermanfoundation.org. The Cronkite School at Arizona State University is widely recognized as one of the nation’s premier professional journalism programs. The School’s 1,800 students regularly lead the country in national journalism competitions. They are guided by faculty comprised of award-winning professional journalists and world-class media scholars. Cronkite’s full-immersion professional programs give students opportunities to practice what they’ve learned in a real-world setting under the guidance of professionals. The Chicago Tribune’s investigative reporters Patricia Callahan and Michael J. Berens took home 1st Prize in this year’s Katherine Schneider Journalism Award for Excellence in Reporting on Disability. On November 27th the veteran reporting team visited downtown Phoenix to tour Arizona State University’s Walter Cronkite School of Journalism and Mass Communication, meet school staff and students, conduct several video interviews and meet other contest winners. In the evening they participated in a panel discussion, hosted by NCDJ Advisory Board member Leon Dash, for the Cronkite School’s “Must See Mondays” speaker series. During the panel Callahan and Berens described challenges of acquiring and analyzing Illinois public records that documented mistreatment of people with disabilities at state-funded group homes. Emotional photos by Chicago Tribune’s John J. Kim from Callahan and Beren’s award-winning series “Suffering in Secret” were projected on the video screen behind the panel. A full video recording of the panel discussion and ceremony is now available on Vimeo. Click HERE to watch it. 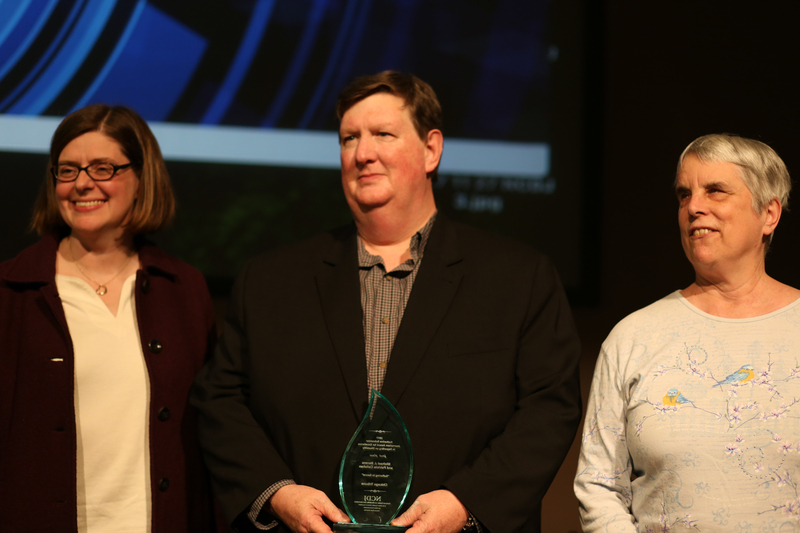 First Place winners Patricia Callahan and Michael J. Berens pose with awards sponsor Katherine Schneider on November 27, 2017 at ASU’s Walter Cronkite School of Journalism and Mass Communication.